Suri Cruise was wearing Pink Lace Sweatshirt and matching Leggings from FW14 collection by Italian brand Les Princes, while on a charitable visit to LA Children's Hospital in December 2014. December 2014: Suri celebrated New Years at Disney! 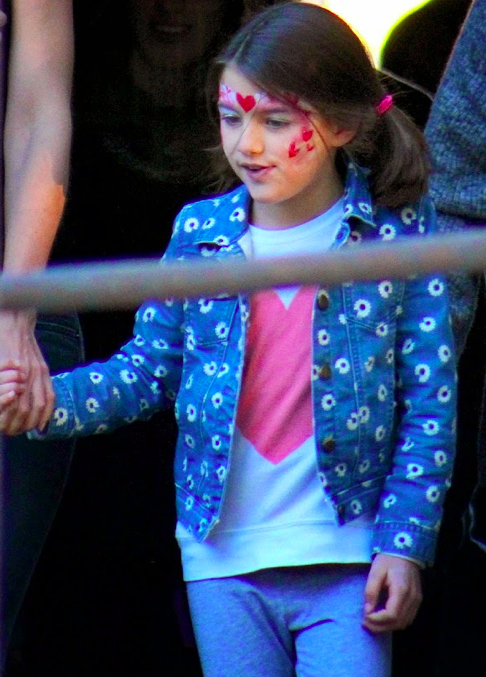 Suri Cruise celebrated New Years with Katie and her friends at Disneyland, CA on December 31st 2014.
note: looking for denim jacket id.. pls, leave a comment.